The material contained in this website is intended to provide general information and comment and should not be relied upon as legal advice. Always obtain the advice of your own lawyer with respect to decisions and actions that could have legal consequences. 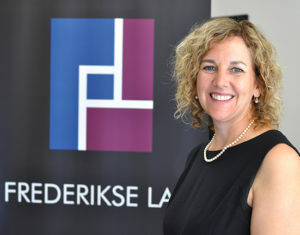 Any information sent to Frederikse Law by e-mail through this website is not confidential and does not constitute, create or revive a lawyer-client relationship. Frederikse Law does not necessarily endorse material on any website accessible through links from this website. All material on this site is subject to copyright and may not be reproduced in any form for commercial purposes without the express written consent of Frederikse Law. Anyone seeking to link to this site from any external website must seek our prior written consent.